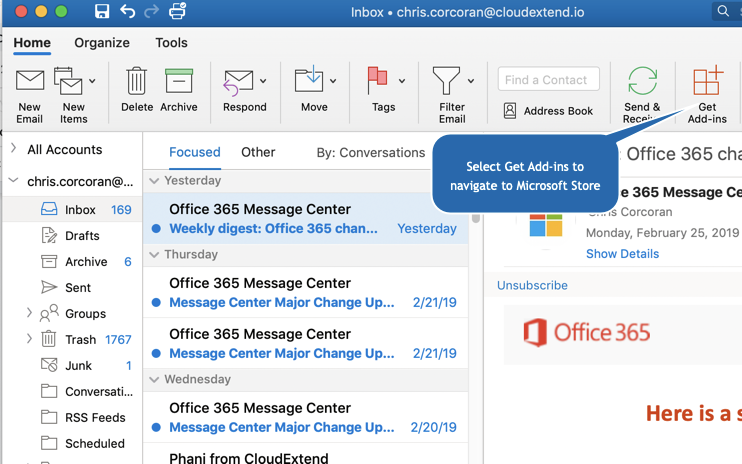 Note - if your Outlook settings do not let you install Apps from the Microsoft store check with your Office 365 Admin to see if you can sideload the App per the instructions here. 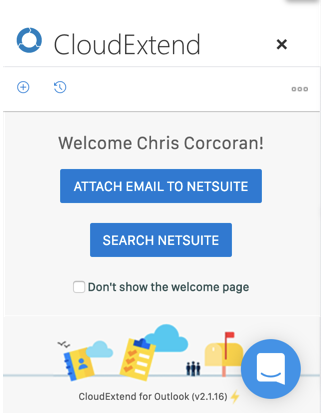 Alternatively your Admin can install the App for you and/or other users per the instructions here. OWA (browser based) users click the Gear icon for Settings and then select 'Manage Add-Ins'. Screenshots for desktop and OWA link are below. Search the Microsoft store for ‘Celigo’ or 'CloudExtend' and select 'Add'. 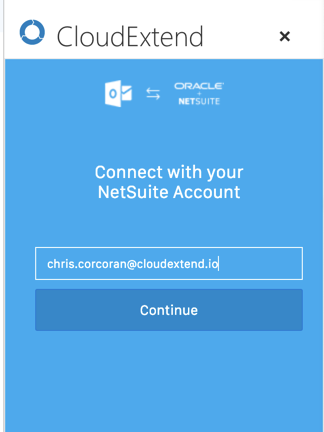 Navigate back to your Outlook inbox and click the ‘CloudExtend NetSuite’ icon in your taskbar to invoke the App. Select your authentication method. 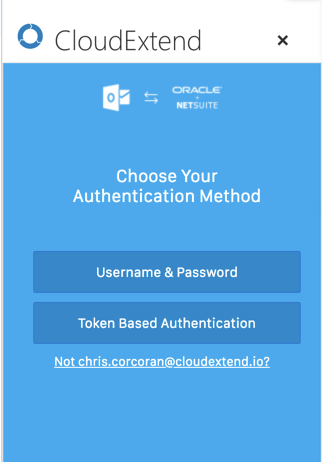 Note Token Based Authentication (TBA) is required if your role requires 2 factor authentication (2FA). TBA support is available in our Enterprise Edition and requires some set up from your admin. If you're using username & password select your role below. 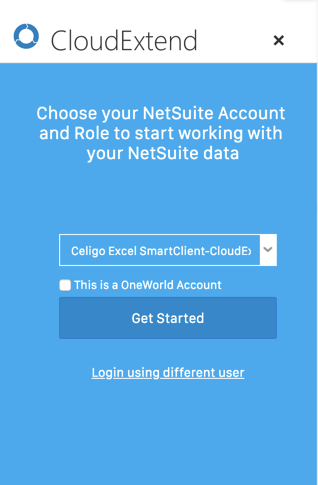 Be sure to check off the 'OneWorld' box if your NetSuite Edition is OneWorld. If you're using TBA you will be signed in to the role associated with your tokens.